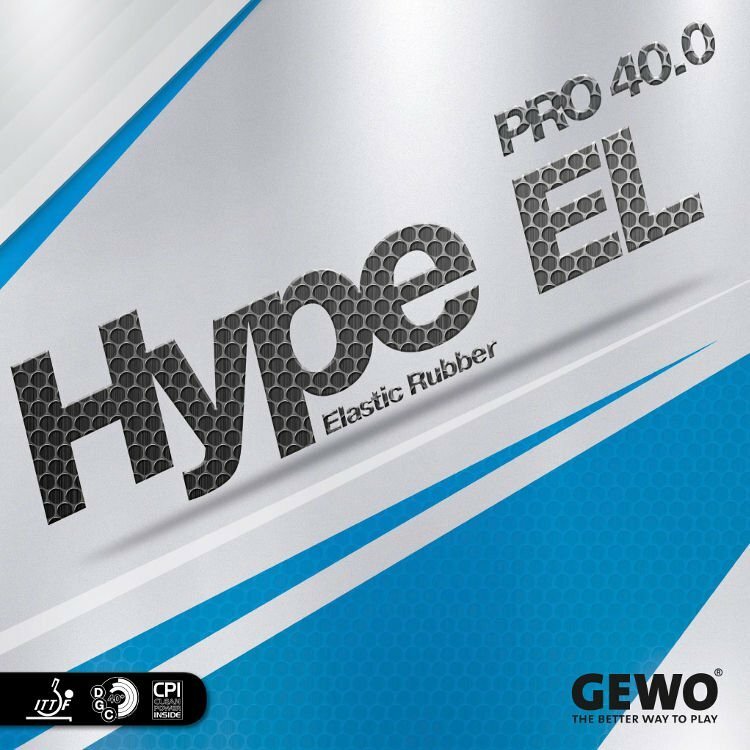 The GEWO hype EL Pro 40.0 is the super-soft rubber in the Hype EL Pro Series. The new sponge / rubber combination was developed for players who want a spin / tempo-oriented style of play with control. The softest rubber of the Hype EL Pro-series gives extraordinary sound, good control with a catapult effect. The GEWO hype EL Pro 40.0 has been specifically designed and developed for players who demand good control from the sponge and a surface with an excellent grip. The DGC40+ "Dynamic-Grip-Concept", the ‘Power Tension Boost’ and CPI ‘Clean Power Inside’ support you in your game of active blocking, precise placement and safe counterattacking. The GEWO hype EL Pro 40.0 is the perfect rubber for players who place great value on spin with maximum control. Because: "The last point makes you the winner!"